Winner of four Outer Critics Circle Awards including Best Off-Broadway Musical, the widely acclaimed, international comedy NUNSENSE! turns out to be a hilarious fund-raiser by the Little Sisters of Hoboken to raise money so they can bury a few of their sisters who were accidentally poisoned by the convent cook, Sister Julia. 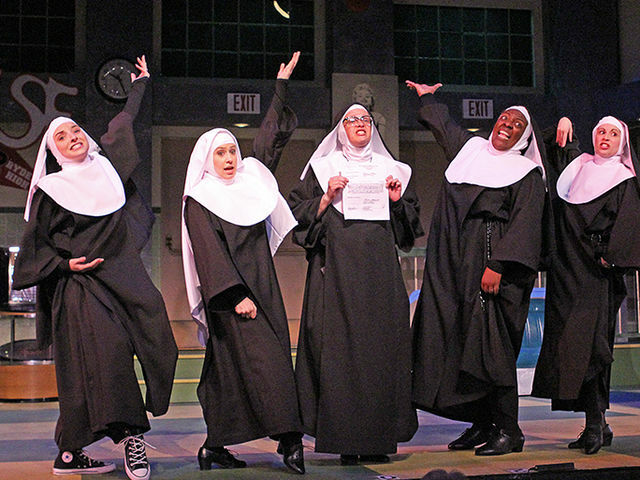 Mark your calendars for Trevecca’s side-splitting, habit-forming musical comedy NUNSENSE! running March 21-23 and 28-30. Performances are 7:00 PM each night with a 3:00 PM matinee on Saturday, March 30. Bring your friends who love to laugh for an evening like NUN other!